This course enables you to carry dangerous and hazardous goods. You must hold at least a full car driving licence to sit this course. Drivers who passed their lorry tests after 2009 must have a driver cpc. Those who already held it previously to 2009 must complete periodic training for their driver cpc which is 35 hours of training every 5 years. So the 1st block of 35 hours had to be done by 2014, the next block is 2019 and so on. This is only for those who held their lorry licence prior to 2009. For those sitting after 2009 they have to complete a module 2 – driver cpc case studies which they do along with their theory and hazard perception then module 4 which is as above in the LGV training tab. Their 5 year block starts from the pass date of their module 4. The course is run in accordance with the NDGTC and covers all aspects of carrying dangerous goods and all classes except class1 and 7. Training is both theoretical and practical covering all vehicles, most types of loads and includes basic first aid and fire training. 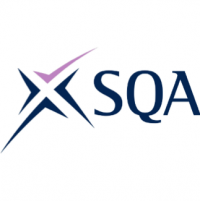 The course has exams on the last day and results are issued by SQA at least 21 days after the exams have been sat. ADR certificates must be renewed every 5 years. Our ADR instructor is SQA qualified (Grade 1), holds a current and valid ADR qualification and has been authorised by SQA & NDGTC to deliver ADR training. 4 or 5 days depending on whether you choose to do basic ADR or ADR and tanks. Gain specialist knowledge and skills to understand specific health and safety issues in keeping the transportation of dangerous goods safe. 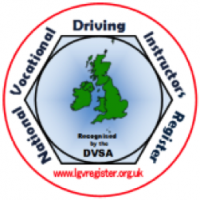 Gain hours towards your driver cpc on completion of the course.